I was introduced to Travelon early in my travelling career when finding the perfect bag for travel seemed impossible. I was like Goldilocks; this one is too big, this one doesn’t have the right pockets, this one is the wrong colour and on and on. Then I found Travelon, and they have a bag for all my needs travel and life in the big city. 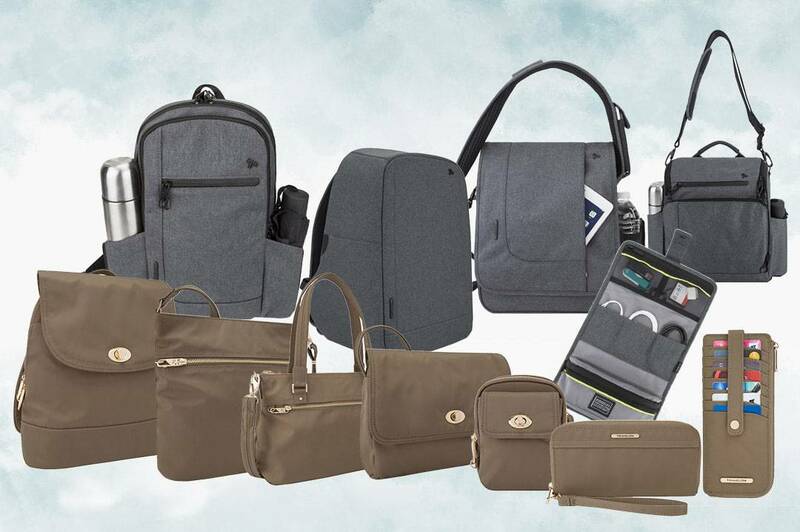 The key to their bags are the Anti-theft features from slash proof fabrics, RFID blocking technology, hidden compartments and locks and clasps which keep your stuff secure. Now I find myself in new territory – too many bags and too many styles to choose from. I want them all. If it has been a while since you looked at Travelon, then I’m here to give you the lowdown. 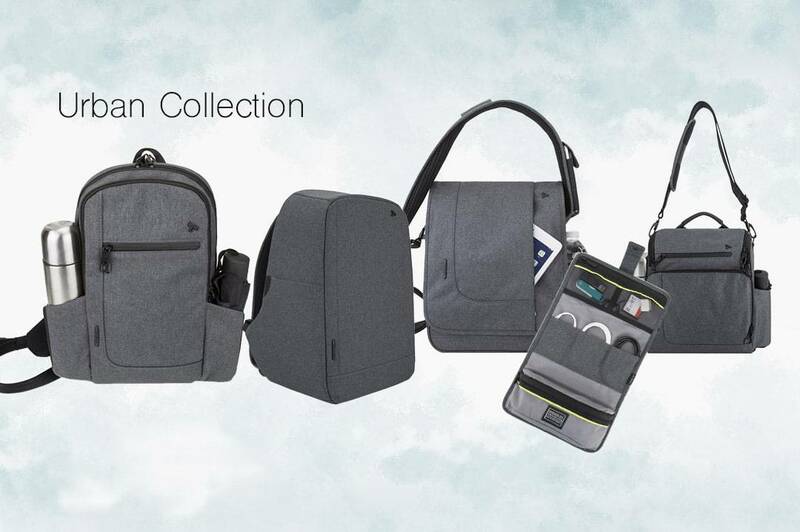 In 2018, Travelon has 12 bag collections to choose from for both Men and Women. From sleek urban styles, the hip and trendy boho collection to stylish and elegant models these collections have something for everyone. Here are a few of my favourites. This is where it all began for me. The perfect introduction to Travelon’s style and security was my anti-theft backpack. I have three bags from their classic collection that I still use them today (4 years later). 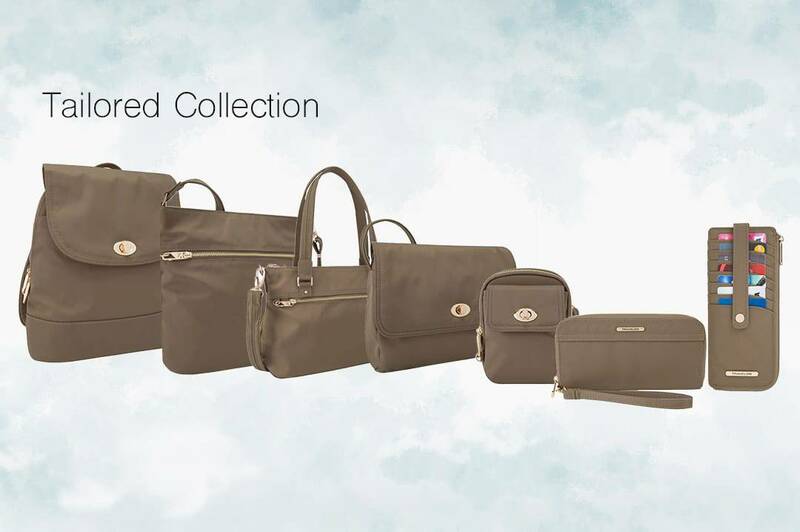 Now the classic collection has been modified to include Classic, Classic Light and Classic Plus styles. 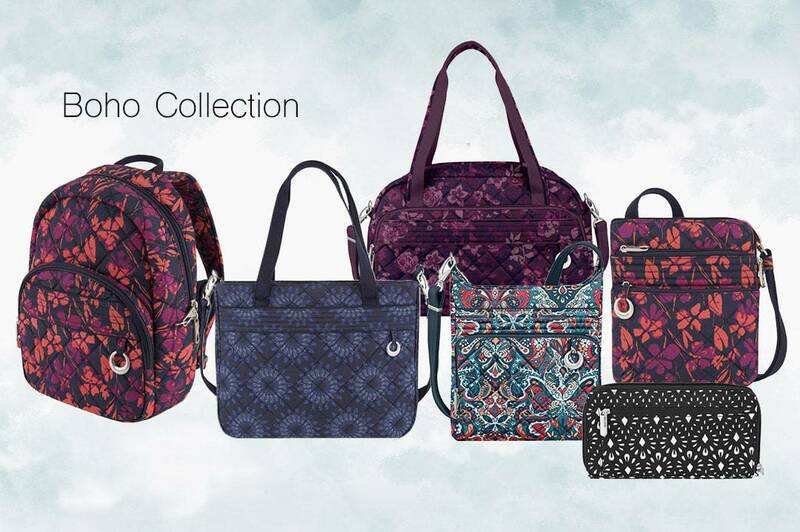 This is a fun collection of patterned bags is great for those looking for a day-to-day fashion purse or travel-friendly bag. It includes all the stylish anti-theft purse but adds some fun colours both on the outside of the bag and in the interior fabric as well. The best part you can also find matching RFID wallets in the many stylish patterns of this collection. 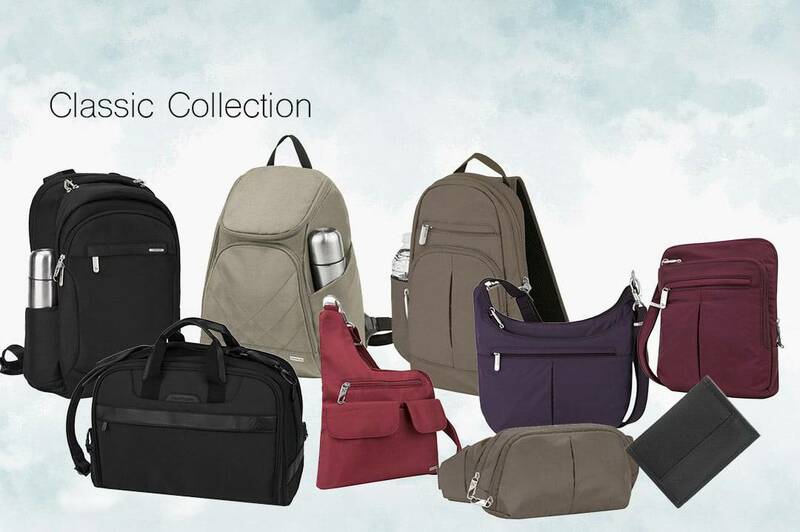 I love this sleek collection of tech-friendly bags. It is popular for both men and women seeking sleek, stylish anti-theft business bags. The Urban collection is not a colourful and playful collection but a functional and slim style of anti-theft bags. From the various anti-theft backpacks, business bags and slings this style is perfect for city wandering or as a bag to take to the office each day. They come in black or grey and be sure to look for the tech accessory organizer which will keep all your cables nicely organized in a handy folder similar to a toiletry bag for your tech. This is my new style, and I love it for all the fun colours available and the variety of styles. If you enjoy matching all your purse accessories like me, there are RFID wallets available to compliment this style. From their slim stylish anti-theft backpack, the stylish anti-theft purses, wallets and more there is plenty to choose from that will keep you looking chic while keeping your stuff safe. So if you are looking for a little safety in the city or on your travels why not have a little fun with your fashion style too? With Travelon, you get the best of all worlds: fun colours, sleek styles, matching accessories and a bag to fit every need. Disclosure: I received some products from Travelon Bags for review purposes only.